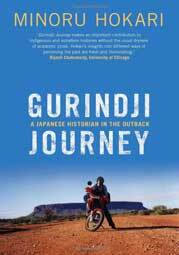 Continuing the Japan–Australia theme, I’m re-reading Minoru Hokari’s Gurindji Journey, ahead of the event To celebrate the life and work of Minoru Hokari 1971-2004 at the ANU. When I told them that Japanese ‘law’ became more Westernised, they sympathised with me and said, ‘Kartiya way everywhere.’ My Asian background certainly created a particular dynamic between the Gurindji people and me. Here is another example: one day, a young man approached me and asked if I knew Pauline Hanson. He explained that she does not like ‘my mob’ and ‘your mob’. Then, he suggested that I sing sorcery songs with him to kill Hanson.